The urgent need to keep pace with the accelerating globalization of manufacturing in the 21st century has produced rapid advances in manufacturing research, development and innovation. 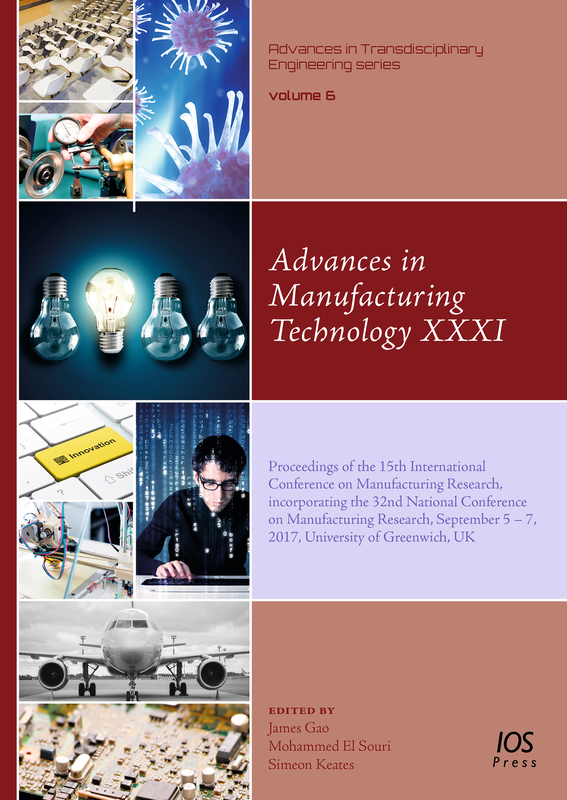 This book presents the proceedings of the 15th International Conference on Manufacturing Research (ICMR 2017), which also incorporated the 32nd National Conference on Manufacturing Research (NCMR) and was held at the University of Greenwich, London, UK, in September 2017. The conference brings together a broad community of researchers who share the common goal of developing and managing the technologies and operations key to sustaining the success of manufacturing businesses. The book is divided into 13 Parts, covering topics such as advanced manufacturing technologies (including additive, ultra-precision and nano-manufacturing); manufacturing systems (digital and cyber-physical systems); product design and development (including lifecycle management and supply-chain collaboration); information and communication (including innovation and knowledge management); and manufacturing management (including lean, sustainable and cost engineering). With its comprehensive overview of current developments, this book will be of interest to all those involved in manufacturing today.